Carles Casagemas i Coll was a Catalan artist and writer who was born in Barcelona on September 27th 1880 within a bourgeois family. His father, Manuel Casagemas i Llabrós, was General Vice-Consul of the United States of America in Barcelona and Lluïsa Casagemas, one of his sisters, was a well-known composer. 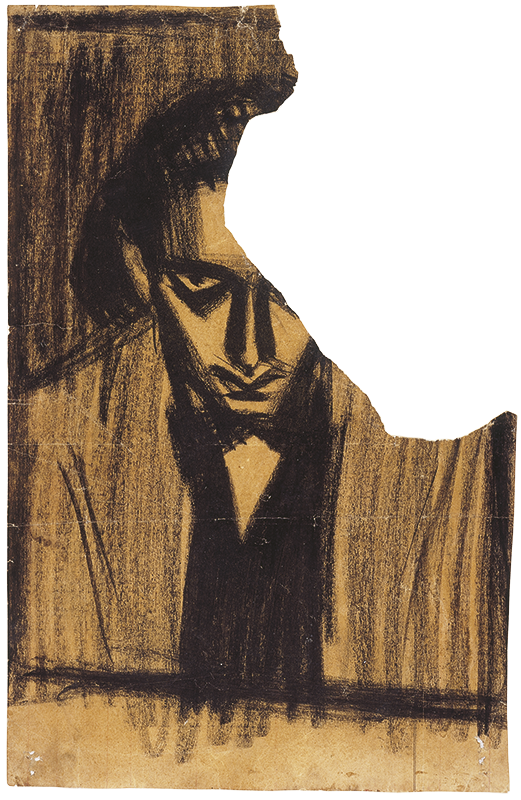 Casagemas was considered one of the most singular Catalan artists within the framework of the second modernist generation. 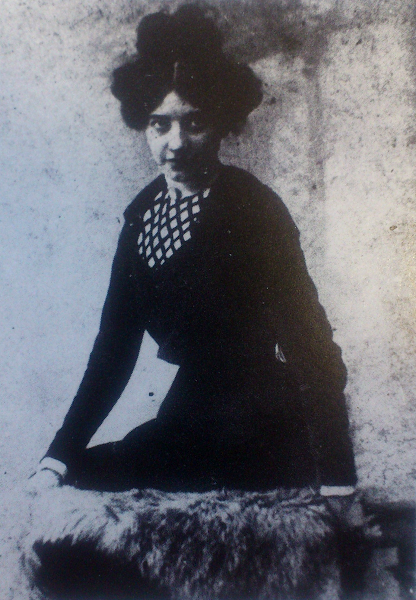 His main artistic reference was Isidre Nonell. Casagemas initially had a studio in the street of Nou de la Rambla where literary evenings were organized with his friends. 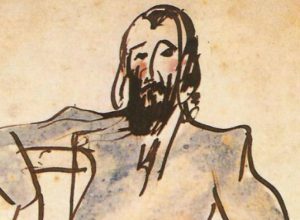 Once his formative years had passed, the artist formed part of the grup bohemi-barceloní (the Barcelona-Bohemian Group), made up of the Fernàndez de Soto brothers, Joan Vidal i Ventosa, Ramon and Cinto Reventós brothers, and Jaume Sabartés, among others, and they would frequent the tavern Quatre Gats where, between March 26th and April 1900, they put on an exhibition. 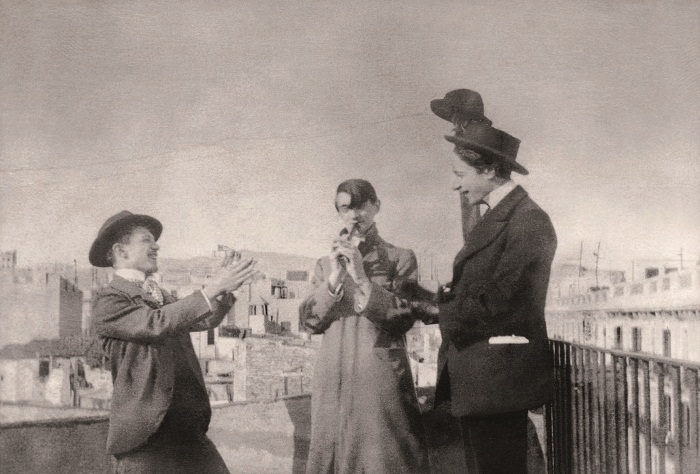 Around 1899 he met Pablo Picasso, with whom he built up a close relationship and jointly set up a studio in the street of Riera de Sant Joan, nº 17. Picasso did various portraits of Casagemas, the first known ones dating back to 1899. 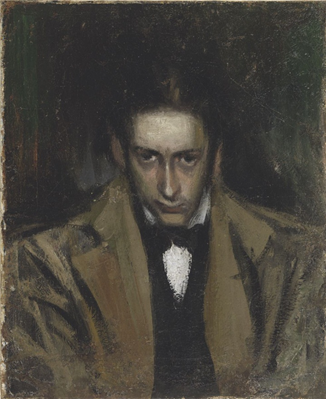 In the museum, we conserve some of the portraits that Picasso did of his friend during their years of friendship, among which being the magnificent oil painting Portrait of Carles Casagemas, recently restored by the team of the museum, which is exhibited in the gallery 4 alongside a sketch done with charcoal on paper. At the end of September 1900 both friends went on a trip to Paris during which Casagemas fell in love with the model Laure Gargallo (her maiden name), better known as Germaine. 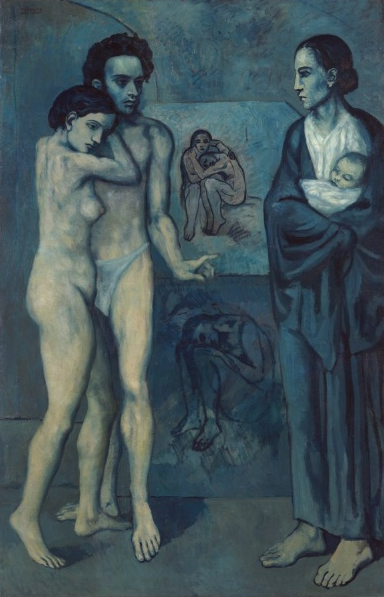 Picasso and Casagemas set themselves up in Montmartre in an area of nighttime activity and brothels; they wanted to live the vie de bohème and form part, temporarily, of the group of expatriate Catalans of Montmartre. The asymmetrical relation between Casagemas and Germaine started deteriorating along with his mental state, who at the same time increased considerably his consumption of alcohol. Germaine didn’t hide her frustration with this man who treated her as his fiancée, but never ended up consummating the relationship. To such an extent that once when she mocked Casagemas, he threatened to commit suicide. At Christmas of the same year, the two friends returned to Barcelona and subsequently spent the New Year in Malaga with the excuse of distracting Casagemas. 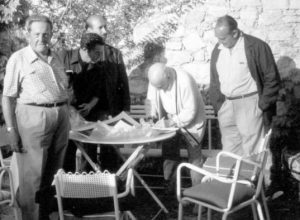 Far from sorting out his amorous problems, after some weeks the two friends ended up going their separate ways: Picasso would go to Madrid and Casagemas, after a brief visit to Barcelona, would return once again to Paris. They neversaw each other again. Casagemas was little more than 20 years old. 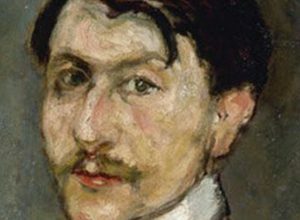 The death of his friend profoundly affected Picasso, who produced some works about his death and his burial and subsequently more portraits. It is said that his suicide generated the blue period of the artist and in fact Casagemas is the main protagonist of La Vie,the major work of this period, of which an exhibition was held in 2013 in the museum. Curiously, in the sketches prior to the work the face of the man represented was that of Picasso, but in the final painting the male face was that of Casagemas himself. The location of his tomb has always been a cause for controversy. It was initially said that he was buried in the Cimetière du Montmartre, even though the family descendent of Casagemas said it was the Cimetière du Père Lachaise. Now a study of 2013 by Dolors R. Roig, The best kept secret about Carles Casagemas (cat), located the tomb of Casagemas in the Cimetière de Saint-Ouen, situated at 69 Avenue Michelet, on the outskirts of Paris. 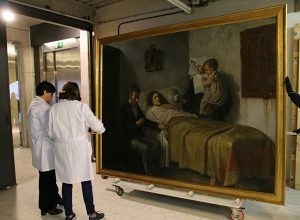 And in fact, since 2008 Claude Picasso, the son of the artists, has been charged the maintenance of the tomb. Despite the premature death of this artist and his scarce production, his work is one of the most singular of Catalan art and is characterised by a strong social criticism and of miserabilist chronicles and is spread around different museums such as Cau Ferrat, the Museu d’Art de Sabadell, the Museu Nacional d’Art de Catalunya or the Fundación Francisco Godia, among others. This autumn the Museu Nacional d’Art de Catalunya will be inaugurating the small format exhibition “Carles Casagemas. the artist behind the myth”. 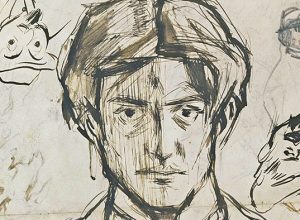 This exhibition, with Eduard Vallès as curator, will count on some thirty unpublished or never previously exhibited works, and aims to take an in-depth look at the work of this artist, and to highlight its value, beyond the character created around his suicide and his link with Picasso. 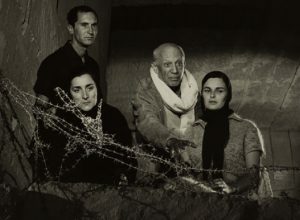 Do you know the inhabitants of the Museu Picasso?